Bangalore Queer Film Festival (BQFF) is an annual event full of queer films from the world over, photo exhibitions, art exhibitions, performances and panel discussions. Over the years, BQFF has become an entrenched part of the cultural landscape of Bangalore. The festival serves as a space for LGBT (Lesbian, Gay, Bisexual, Transgender) concerns to be voiced through the medium of moving image. See program. 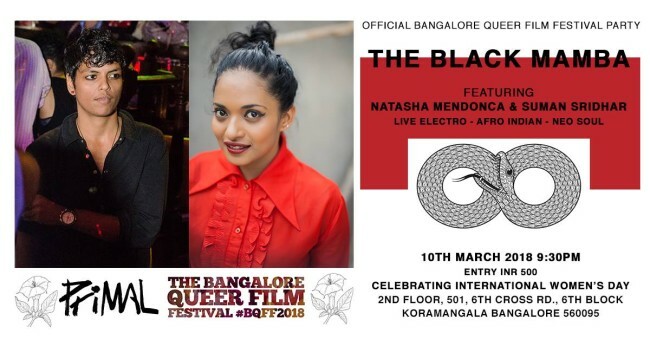 The Black Mamba celebrates International Women’s Day with a live-electro music show (Afro-Indian / Neo-Soul) featuring Natasha Mendonca & Suman Sridhar. The multi-lingual performance comprises slam poetry, electronic music sampling, live beats and cascading vocals, celebrating inclusive expressions of gender. 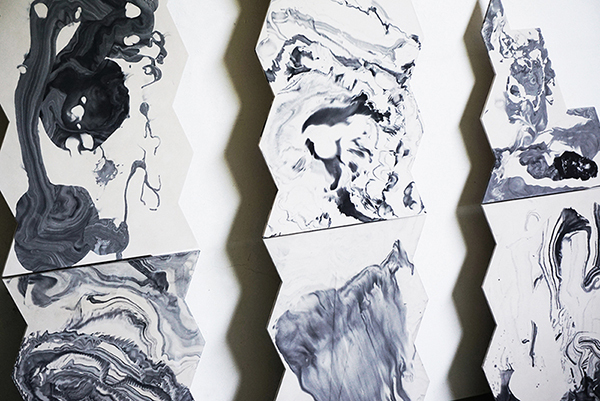 The duo invokes themes of women’s empowerment, public safety and ecofeminism. Named after the most poisonous snake on the planet, The Black Mamba transmutes poison into medicine through an urban contemporary sound. UK premiere of feature film Ajeeb Aashiq // Strange Love and world preview of original music album The Black Mamba at the Tate Modern Museum (London 2017); Audio – Visual music performance at the inauguration of the 20th Contemporary Art Festival Sesc_VideoBrasil (Sao Paulo 2017); Live Music performance at the inauguration of the Kochi-Muziris Biennale (India 2016); Ziro Music Festival Headliner Act (Arunachal Pradesh 2016) etc. Suman Sridhar is an acclaimed singer-songwriter, producer and the voice behind Bollywood hits such as Muskaane Jhooti Hain (Talaash film), Hawa Hawaii (Shaitan film), Fifi (Bombay Velvet film) etc. She bridges the worlds of jazz, soul, electronica, Indian classical, opera, cabaret, afrobeat and hip-hop. She grew up with Indian Classical music and holds a degree in Western Classical Music and Women’s & Gender Studies from Rutgers University, USA. Suman Sridhar’s noted shows include Coke Studio (MTV India), Southbank Centre (UK), dOCUMENTA (13) (Germany) etc. 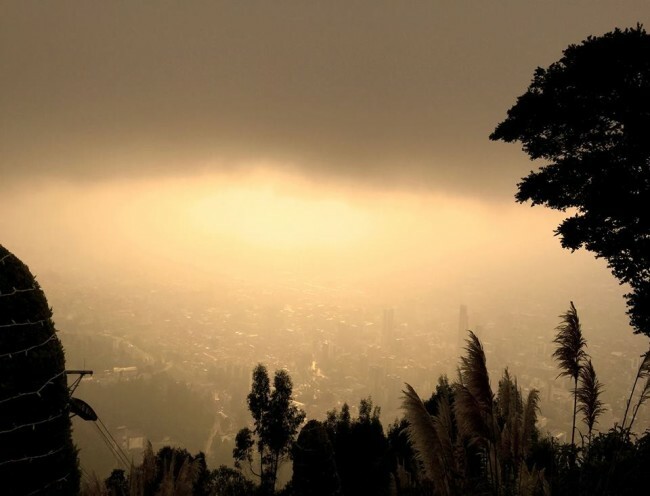 Natasha Mendonca is an award-winning filmmaker and electronic musician from Mumbai, India. She holds a Masters in Film, Video & Sound from the California Institute of the Arts. She is best known for her films Jan Villa and Strange Love // Ajeeb Aashiq. She co-founded Larzish, India’s first international film and video film festival on sexuality and gender in Mumbai, India. Her works have shown at the Museum of Modern Art PS1 (USA), Centre Pompidou (France), 2012 London Olympics & Cultural Festival (Tate Modern, UK) etc.